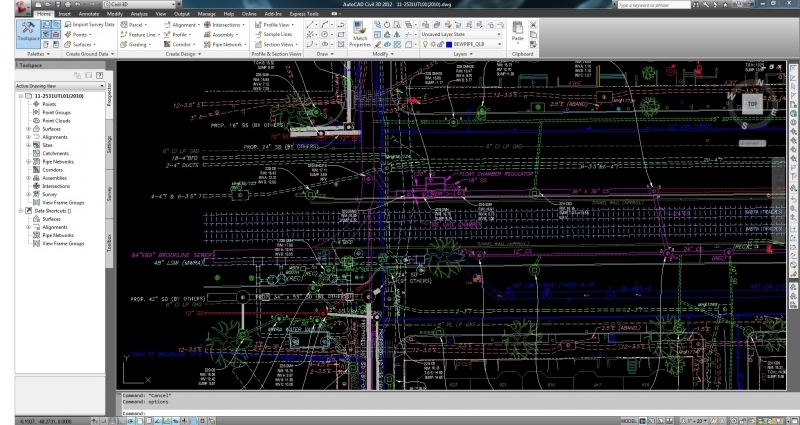 BSI utilizes both AutoCAD & Microstation drafting platforms with the industries latest software and technology in order to provide our clients with timely, accurate, and esthetical Subsurface Utility Engineering plans. BSI’s automated drawing process begins in the field with a detailed survey followed by a timely transfer of data to our CADD or Microstation systems. BSI incorporates a guaranteed quality assurance process from field to finish that involves a thorough QA/QC review for each project prior to final delivery to our clientele. All SUE plans are prepared in conformance with ASCE/CI 38-02 “Standard Guideline for the Collection and Depiction of Existing Subsurface Utility Data”. This standard in part with BSI’s capability to adhere to any CAD standard provided by our clientele renders BSI as one of the SUE industry leaders in AutoCAD & Microstation plan production.